The Impression, Soleil Levant is almost surely one of Monet’s most-loved works, and one of the highlights of the Marmottan’s collection. Yet the painting is shrouded in mystery – as is its subject: the port at Le Havre, cloaked in mist. Does the piece depict a sunrise or sunset? How and why did it end up at the museum in 1940? 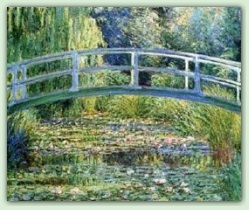 And could it have been the work that christened the Impressionist movement? To mark the 80th anniversary of the museum’s opening, and the 140th anniversary of the first display of Monet’s majestic creation, the Musée Marmottan Monet unveils the true story behind the masterpiece. The exhibition will take you through 25 stunning paintings by Monet, as well as 55 works from other great figures – including Eugène Delacroix, Camille Pissarro, Alfred Turner and Berthe Morisot, to name a few – generously lent by museums and other institutions from across the globe. The exhibits have been grouped so as to put the painting within the context of artistic developments of the time, notably the long-standing popularity of the sunrise-sunset motif and Monet’s own personal fascination with the port at Le Havre. The exhibition also looks into the display of Soleil Levant at the first Impressionist Exhibition in 1874, before shedding light on the intriguing tale of how the Marmottan came to own the work in 1940.